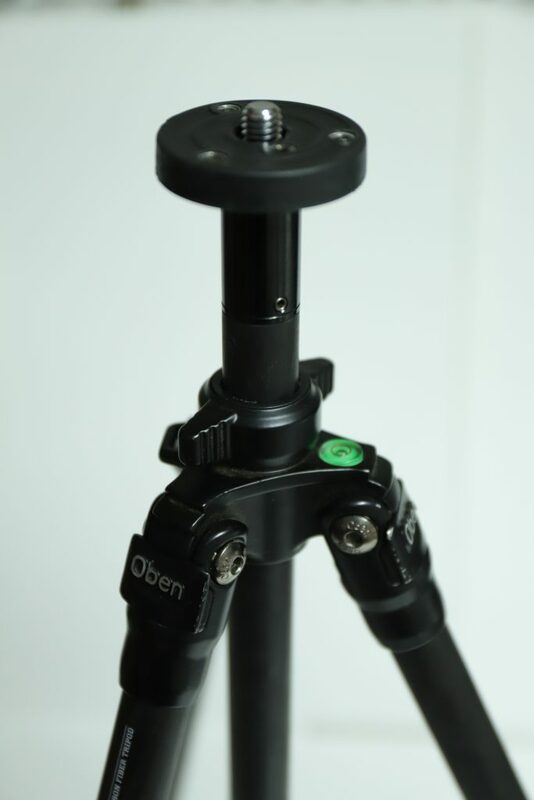 The Oben CT-2331 is the smallest and lightest of Oben’s CT line of tripods. This is Oben’s premier line with carbon fiber legs and twist locks for the legs. If this tripod is stable, it could make one of the best travel tripods available. The standout specification for this tripod is clearly the weight, or rather, lack thereof. This is one of the lightest tripods you can buy that isn’t a tabletop tripod. The tripod doesn’t extend very high, but if you are okay using liveview, and just need something to elevate the camera off of the ground, this could work. One nice feature is that the top plate can be removed to reveal a 3/8″ thread. 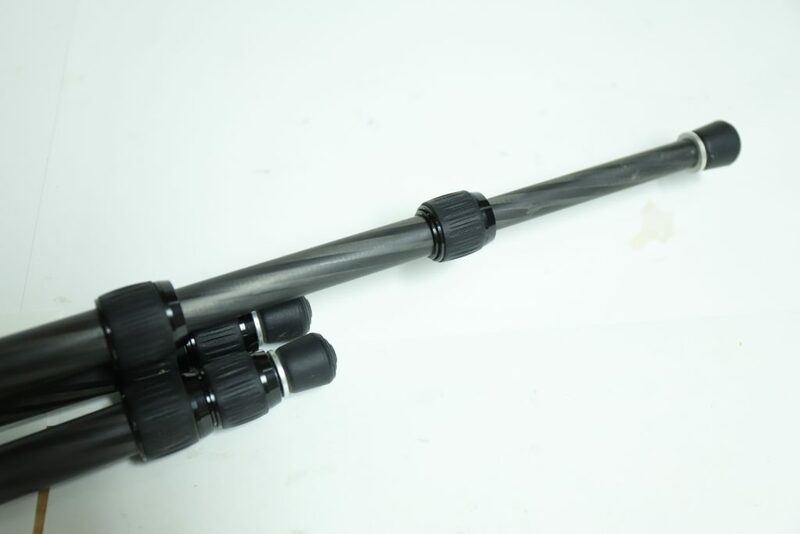 A head can then be screwed directly onto the center column, saving several ounces of weight. This may not seem like a lot, but if you are in the market for this tripod, you probably care about several ounces. Other than that, the features on this tripod are fairly basic. It has a center column, a bottom hook to hang weight, and the legs can be set at three different angles. The CT-2331 handles reasonably well. Its small size makes some using the twist locks somewhat difficult. In addition, the rubber on the twist locks for the legs slip a little bit. This is a common problem on tripods, and it is always obnoxious. The twist locks for the legs are also quite small, so it is difficult to get a good grip on them. The build quality leaves a lot of little things to be desired. The rubber grips on the leg locks are not secured well and slip around. The feet are not rigidly attached and are free to rotate. The metal parts are cast, not CNC machined. When the legs are closed, the feet do not make a perfect triangle at the bottom, indicating that there are slight misalignments somewhere in the spider. The “Made in China” sticker is peeling off. Again, lots of little things. They don’t severely impact the the overall functioning of the tripod, but they don’t impart the feeling of a high quality product either. These stiffness numbers are amongst the worst I have seen for a tripod. But then again, this is one of the lightest tripods I have ever tested. There is a reason we don’t see many tripods at this weight. They simply cannot be made tall and stiff. 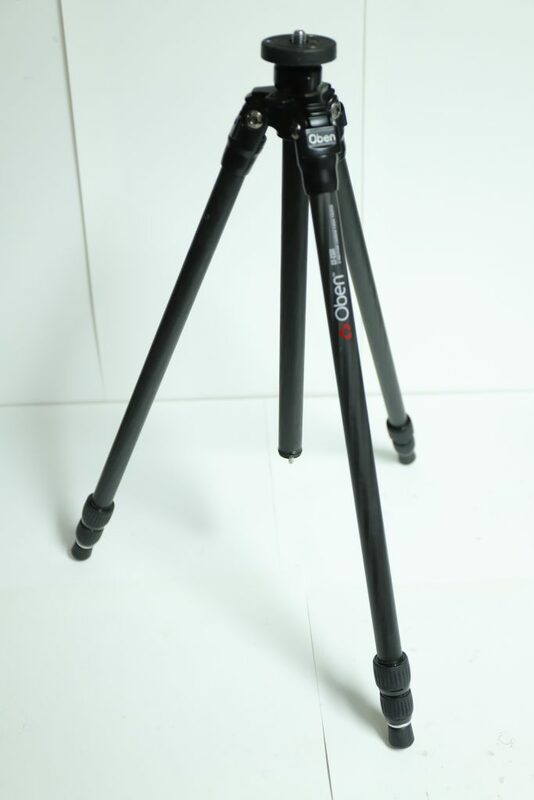 The Oben CT-2331 is for you if you absolutely need the lightest possible solution and are willing to take the time to use perfect technique to get sharp images, don’t use a telephoto lens, and don’t shoot in windy conditions. This is a tripod of compromise and should be the choice when it is between this tripod, and no tripod at all. That being said, I have used the CT-2331 on backpacking trips, and I managed to get with sharp images on my Canon 5DS from wide angle lenses. I removed the platform base and attached a RRS-BH25 ballhead. The total package weighs less than two pounds.